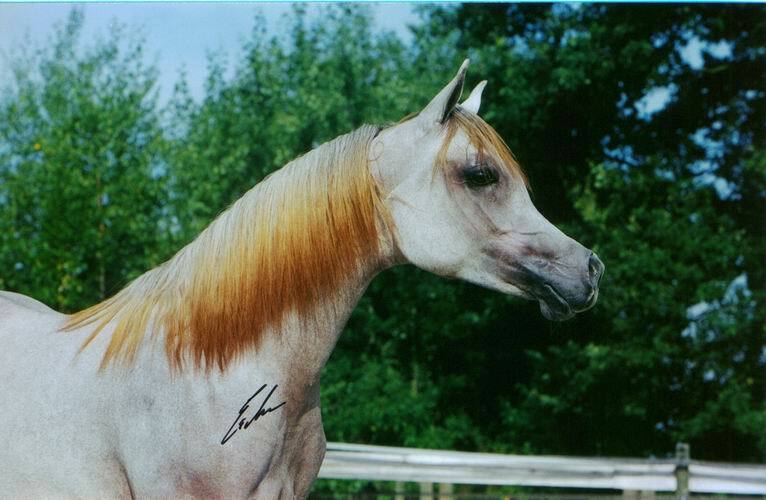 in class of 1-year old foals. 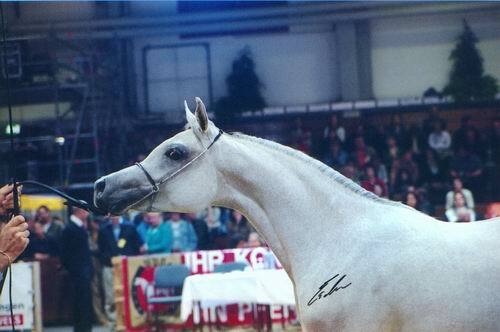 She get the highest score (111) in the junior-class. 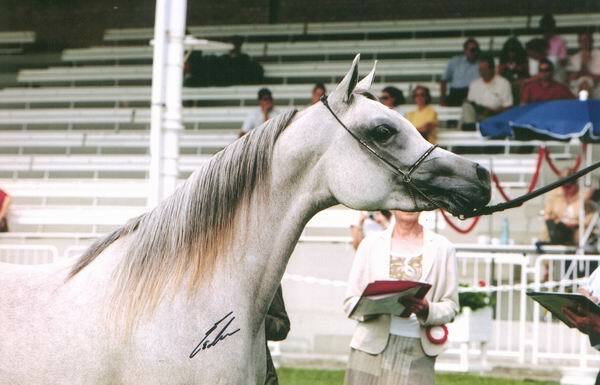 She was named Junior-Reserve-Championesse Filly and as unique junior horse "TOP-Five-Females". 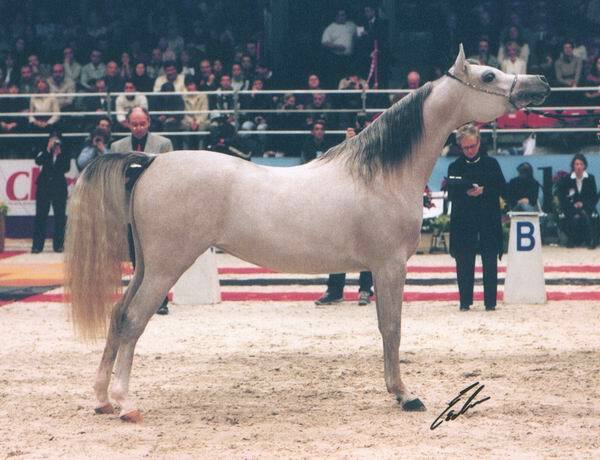 Winner in showclass "most beautifull head - mares" is PYRAMID LANEYA. 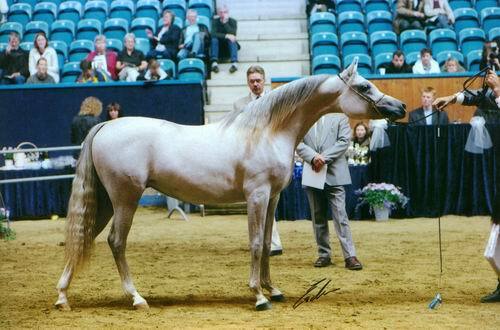 of the junior-classes. 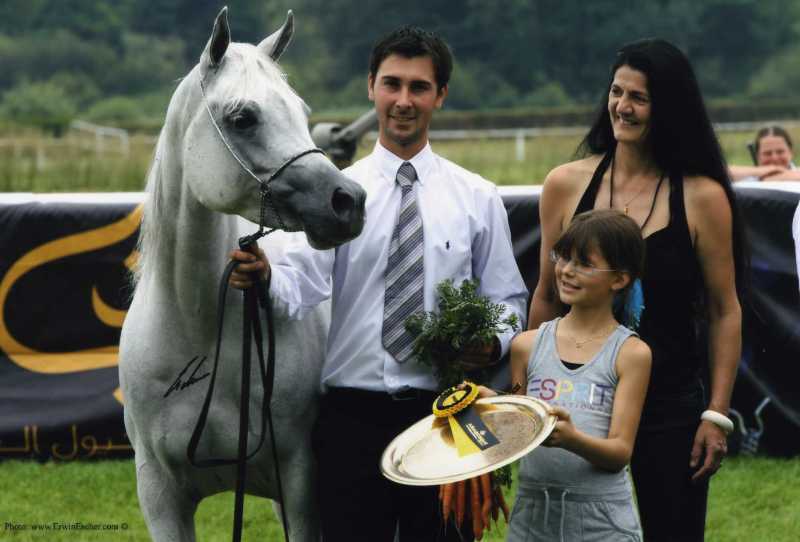 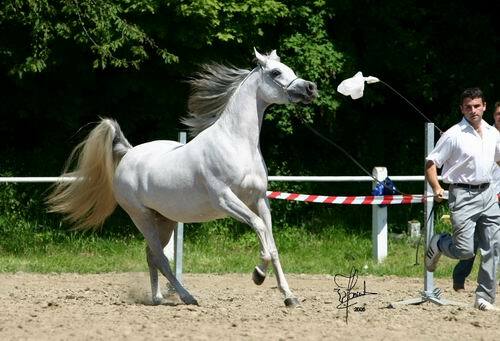 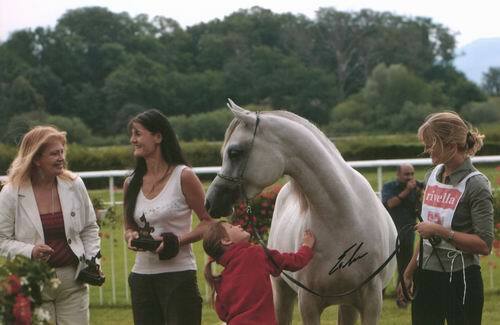 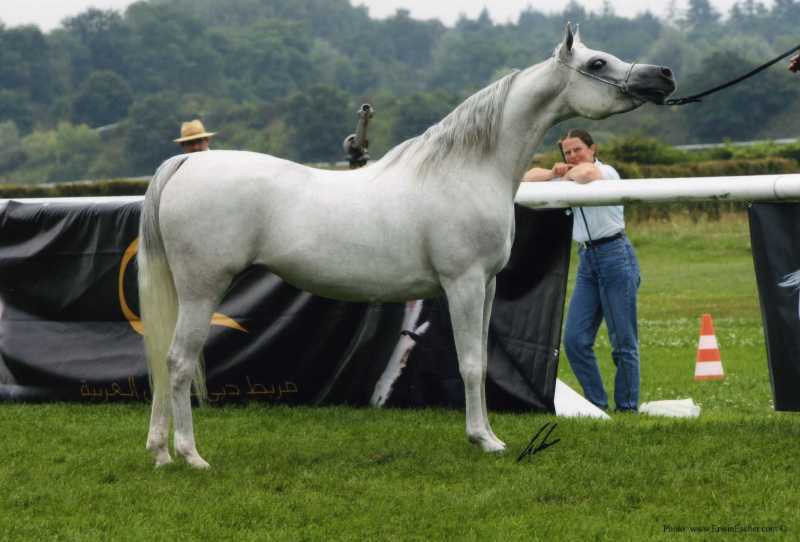 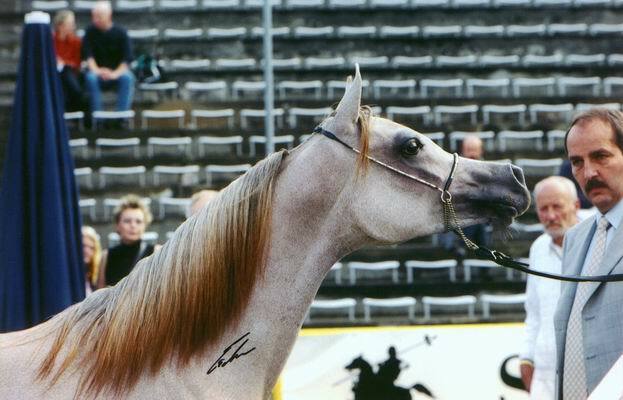 She is named "TOP-TEN-Mare" of SULTANAT OMAN ASIL-CUP 2003.
instead of five judges in the ring. 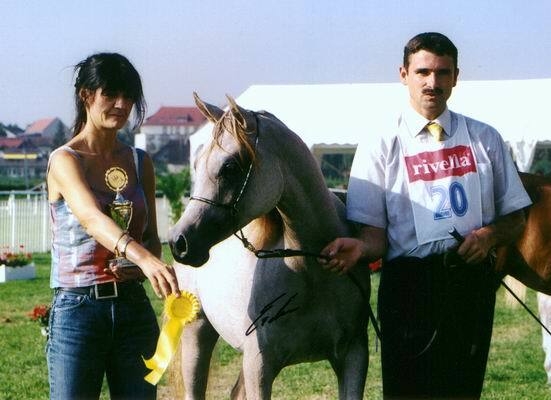 So we lost at least the titel of "Junior-Reserve-Champion-Mares". 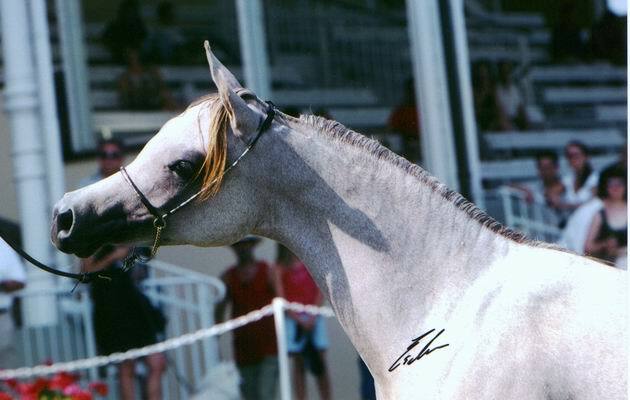 in class of 2-year old foals. 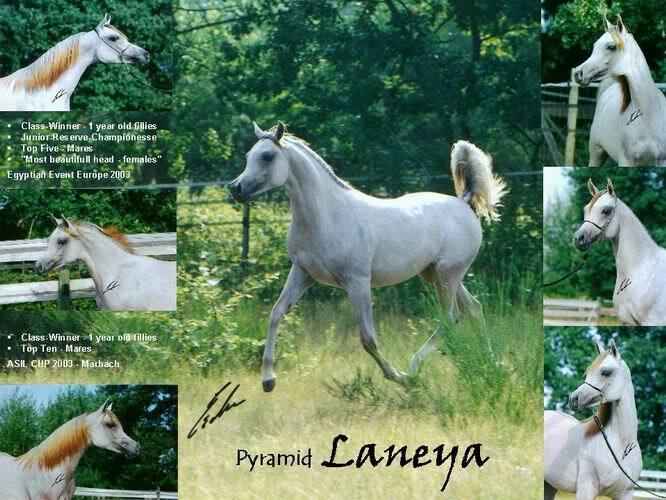 PYRAMID LANEYA was 3.rd of 10 starters in 2-year old fillies-class. 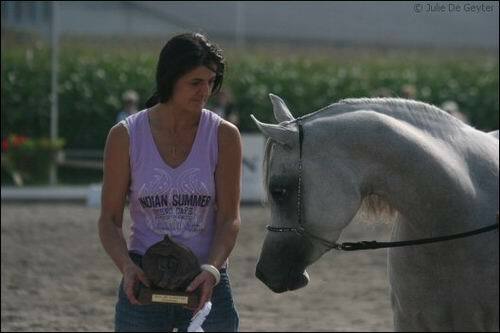 and was qualified for the championships of TOP-Five. 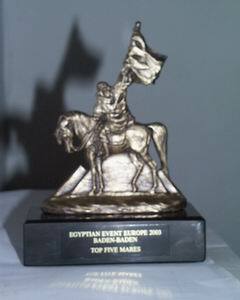 a big success at this International A-Show. 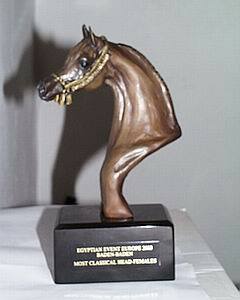 with 449 points and was named TOP-TEN of Juniors - Female.